Producing more black gold than any other state provided tremendous fuel to Texas’ powerful job-production engine—and so did former Governor Rick Perry. Now two things have changed. One, Greg Abbott was elected governor last fall to succeed his fellow Republican, who had decided to seek the GOP presidential nomination. Two, in the wake of the bounty produced by the American fracking revolution, global oil prices plunged and have stayed lower, creating a huge new drag on the Texas job-creation juggernaut and promising to reduce oil-drilling and pumping revenues. Even as Texas hung on to its No. 1 ranking for 2015 in the Best States & Worst States list, can the Lone Star State withstand the continued hit from the global surplus of oil because of its diversifying economy—or even outperform its previous benchmarks as the U.S. economy gains steam? State officials concede that now is the time for Texas to shift gears. “Texas must become bigger, broader and bolder in our economic-development efforts and more aggressive in attracting companies and foreign direct investment so that we become not just the national leader, but a world leader, in job creation,” says Tracye McDaniels, president and CEO of Texas Economic Development. But internal players and outside observers alike give Texas good odds of finishing No. 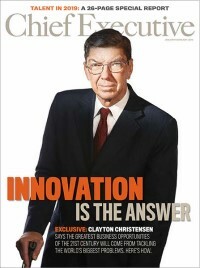 1 again in the 2016 Chief Executive index based largely on four factors: only about 4 percent of the state’s workforce is in the oil and gas industry now, a fraction of a generation ago; other industry pillars keep rising; regions outside the oil patch have made their own prosperity; and the Abbott administration has some strengths of its own. and for labor costs and availability,” says Andy Mace, managing director of supply-chain solutions in the global business consulting practice of Cushman & Wakefield. Indeed, Texas continued to lead America in job growth in January 2015, adding 20,100 jobs and nudging its unemployment rate down to 4.4 percent from 4.6 percent in December 2014. The oil-price slide already has tested the diversification strategy that Perry initiated, in part by trying to raid California and other states for manufacturers, technology outfits and other growing companies that weren’t dependent on oil prices. One of his biggest plums was Toyota’s move of its U.S. headquarters and about 4,000 jobs to Plano, Texas, from Torrance, California, over the next few years. Such moves have enhanced the broadening of most regional economies in Texas that will help the whole state power through. Dallas is reasonably diversified, with autos and healthcare, for example; San Antonio has Toyota truck manufacturing, tourism and other industries; and Austin has become a high-tech outpost every bit as vibrant as any in the country except Silicon Valley. “You have all that stuff plus Texas’s proximity to Mexico and the manufacturing boom that is going on there,” notes Dennis Cuneo, head of DC Strategic Advisors and a former top executive of Toyota Motor USA. And some wonder whether Abbott can “match up” with Perry’s acknowledged skill as an economic strategist and cheerleader, as Cuneo put it. However, Abbott managed to lure the highly regarded McDaniels back to her home state from a stint in New Jersey.